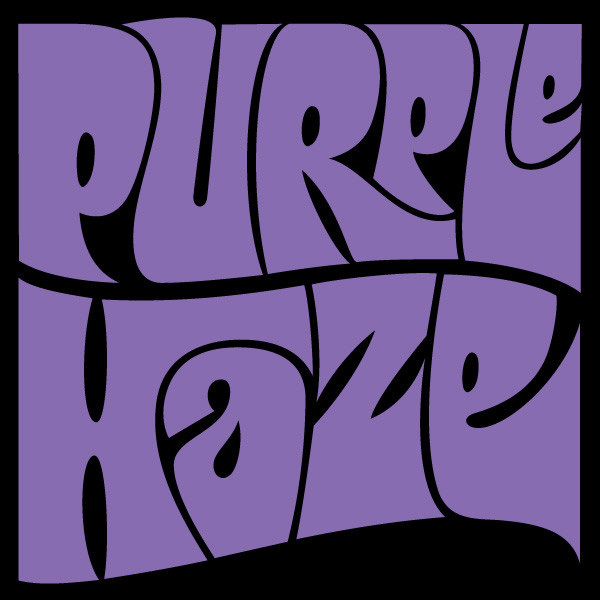 The TTABlog®: Another TTAB Test: Is PURPLE HAZE for Guitar Pickups Confusable With HAZE for Amplifiers? 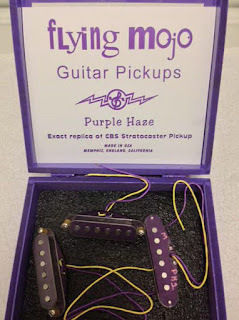 Another TTAB Test: Is PURPLE HAZE for Guitar Pickups Confusable With HAZE for Amplifiers? The USPTO refused registration of the mark PURPLE HAZE for "electronic sound pickup for guitars and basses," finding the mark likely to cause confusion with the registered mark HAZE for "sound amplifiers." Applicant argued that consumers may recognize the association of "Purple Haze" with Jimi Hendrix, psychedelic rock, and the counterculture of the 1960s, and the mark may bring to mind "a purple, psychedelic vapor or a mental state of blurriness and confusion." How do you think this came out? In re Flying Mojo, LLC, Serial No. 86009264 (August 25, 2015) [not precedential]. The marks: The Board found that "despite the addition of the word 'purple' to Registrant's mark, the similarities outweigh the dissimilarities as to appearance and sound." The term "Purple Haze," the Board observed, will bring to mind the famous Jimi Hendrix song. On its home page, Applicant refers to pickups from a Stratocaster once owned by Jimi, and the purple and black design use by Applicant for its mark "is reminiscent of psychedelic posters of the 1960s and '70s." The word "haze," according to the Board, appears to be an unusual and arbitrary mark for the involved goods. It may create the mental image of vapor or smoke, or a confused state of mind, in a nightclub setting. The Board agreed with Applicant that its mark may suggest an association with Jimi Hendrix, psychedelic music, and the 1960s counterculture. 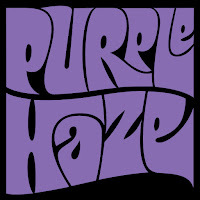 In comparing the possible meanings of these two marks, to the extent there is overlap between a confused state of mind (“haze”) and the prevalence of a drug culture in the 60s frequently associated with a truly legendary piece of music (“Purple Haze”), we find that these marks could well create similar connotations. Combining the closeness in connotation with the similarities in appearance and sound, the Board concluded that the marks create similar overall commercial impressions. Thus the first du Pont factor supported a finding of likely confusion. The goods: The complementary nature of the goods was a basis for finding them to be related: the goods are likely to be purchased together, and used in conjunction with each other to provide amplification for an electric guitar or bass. Third-party website evidence offered by Examining Attorney Linda M. Estrada showed that the involved goods travel through the same channels of trade to the same classes of consumers. That evidence, as well as third-party registration evidence demonstrated that the goods are of a type that may be offered under the same mark. Hence, based upon widespread industry practice, customers would be likely to assume, upon encountering these complementary products under such similar marks, that the goods originate from the same source. Specifically, a consumer acquainted with the HAZE amplifier who is looking for an electronic sound pickup for a guitar or bass is likely to believe the PURPLE HAZE pickup is a brand or product extension from the same source that offers the Marshall HAZE amplifier. Applicant argued that musicians are sophisticated consumers, pointing out that its pickups retail for more than $300. [$300 for a guitar pickup? Seems rather high. - ed.] However, Applicant did not provide any evidence regarding the sophistication of its customers, and the identification of goods in its application is not limited to any particular class of customers or any particular price range. In any event, even sophisticated customers may be confused when presented with highly similar marks for related and/or complementary goods. Consent Agreement: Applicant pointed to a "consent to use letter" provided by Registrant Marshall Amplification plc, and filed with the USPTO, claiming that it constituted a consent to registration. The Examining Attorney disagreed, and so did the Board. The consent letter did not include an express consent to registration. It referred to Applicant's non-exclusive inclusion of the word "Haze" in its mark. The CAFC has repeatedly said that consent agreements should be given great weight, and that the Board should not substitute its judgment for that of the parties in interest as to the issue of likelihood of confusion, but "this case is an outlier." This “naked consent” fails to set forth the reasons why Registrant believes there is no likelihood of confusion and does not describe any arrangements undertaken by Applicant and Registrant to avoid confusion among members of the relevant public. *** Without additional factors to support the conclusion that confusion is unlikely, this naked agreement is accorded little weight inasmuch as it does not constitute a proper and credible consent agreement between the parties. Considering the relevant du Pont factors, the Board found confusion likely and it affirmed the refusal to register. TTABlog comment: I thought there might be a Section 2(a) false association refusal. That the applicant was even successful in securing any consent from Marshall should have given a lot of credence to the applicant's argument. So, John, that begs the question: what WOULD constitute a proper and credible consent agreement? Well, explicitly consenting to registration would help for one. Outlining why there is not likely to be confusion and/or what measures are in place to prevent confusion would also be useful. Typically, I find rejection of consent agreements by an examiner or the Board ridiculous, but in this case I think they were right to give it less weight. That said, in my subjective opinion these marks are distinguishable. As the Board noted, one is a clear reference to Jimi Hendrix, famous in music and in connection with guitars and amps more specifically, and the other more of a suggestive term for the sonic quality of the amp or perhaps the effect it creates on the listener. Maybe the most surprising thing about this blog entry though, no lyrical references or jokes!